What do these kilometer markers mean? You always see them on the road. But what do these kilometer markers really means? 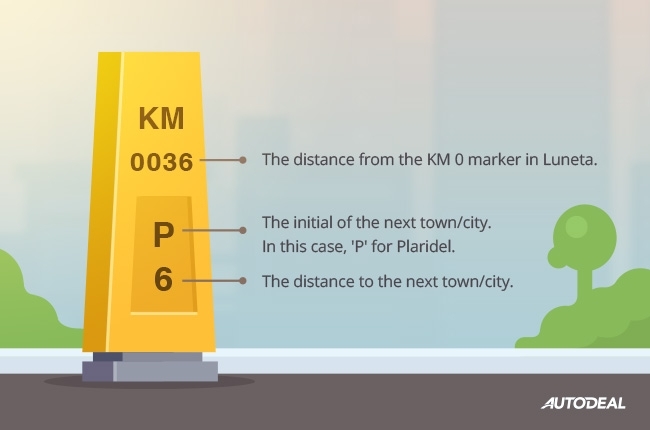 For those who don’t know, kilometer markers are the upright cement poles (usually yellow) at the side of the road that have numbers and letters written on them. We often see them in the provinces, specifically on national roads—also known as the Pan Philippine Highway—that stretches across the Philippines. As mentioned, kilometer markers have numbers and letters on them but what do they really mean? Is there some kind of formula that go with these numbers? Will those numbers win me the lottery? With this, most of us don’t know their practical use. In fact, these markers can be used for navigation, especially when your gadget with GPS runs out of batteries or you’re struggling to get a good signal.